Lieutenant Colonel Eric Beresford Greer M.C. Eric Beresford Greer was the son of Sir Joseph Henry Greer and Olivia Mary Beresford of Grange, Moy. He was born in April 1892 at the Curragh, Co. Kildare. He was raised by his Grandmother Agnes Isabella Greer in Moy, County Tyrone. He was educated at Eton College from 1906-1910 and joined the Irish Guards in 1911. He was also at RMC Sandhurst. Captain Eric Beresford Greer, Irish Guards, who has been gazetted adjutant of a reserve battalion, is the eldest son of Captain Joseph Henry Greer of the Grange, Moy, County Tyrone. He was born in April 1892, and entered the service in September 1911. He is the grandson of the late General Henry Harper Greer, C.B., formerly of the Durham Light Infantry, whose wife was a descendant of Thomas Viscount Northland. On the maternal side, Captain Greer is a grandson of the late Major General George de la Poer Beresford, a descendant of the first Lord Decies, who was a son of the first Earl of Tyrone, and s brother of the Marquis of Waterford. Last night’s London Gazette announced the promotion of Captain Eric Beresford Greer, 2nd Battalion Irish Guards, to the temporary rank of Major, dating from 16th December last. 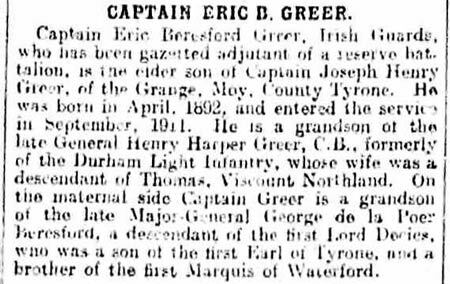 Major Greer is the eldest son of Captain Joseph H Greer, of the Grange, Moy, County Tyrone., who formerly served in the Highland Light Infantry. He is a grandson of the late General Henry H Greer, C.B., and of the late Major George de la Poer Beresford. Lieutenant Colonel Eric Beresford Greer was awarded the Military Cross. Captain E B Greer, M.C., Irish Guards, promoted to the rank of major, is the elder son of Captain J H Greer, head of an old County Tyrone family, and a grandson of the late General H H Greer, of The Grange, Moy, County Tyrone. This officer and his brother, Second Lieutenant Francis St Leger Greer, who is also in the Irish Guards, have won the Military Cross for conspicuous gallantry in France. 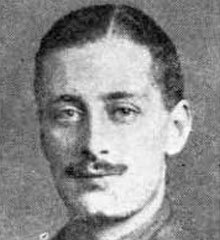 Captain Eric Beresford Greer, Irish Guards, who have been gazetted to the rank of Major, is the eldest son of Captain Joseph H Greer, Grange, Moy. 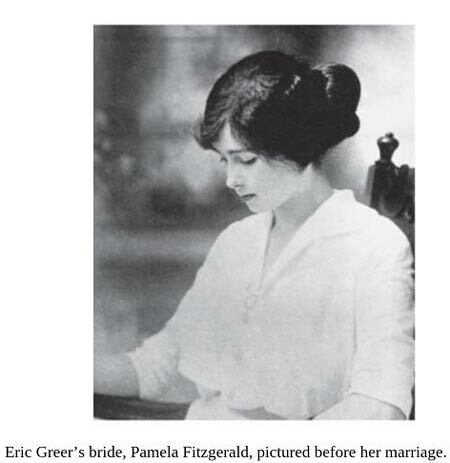 Eric B Greer married Pamela Fitzgerald in February 1917. It took place ‘very quietly, owing to deep mourning in the bridegroom's family.’ – from the Times, dated 13th Feb 1917. This was because his brother Frank had died a few days earlier on 1 February 1917. Major Eric Beresford Greer, M.C., Irish Guards, a member of the County Tyrone family, has been promoted to the rank of acting lieutenant colonel. Lieutenant Colonel Eric Beresford Greer was commanding the 2nd Battalion of the Irish Guards when he was killed in action on 31 July 1917. Pamela was about three and a half months pregnant at the time Eric died. He had been in every battle in which the Guards were engaged since the opening of the war, including the fighting at Cuinchy, when Michael O'Leary performed the valorous deeds which won him, on the recommendation of Colonel Greer, the Victoria Cross. Enthusiastic in everything he took up, he interested himself much in athletics, and was the quarter mile champion of the army, and winner of the Irish Guards Cup each year from the time that he joined the regiment. While at Eton he also distinguished himself at the different sporting fixtures. He was awarded the Military Cross for conspicuous gallantry and devotion to duty in the field and was also mentioned in dispatches. 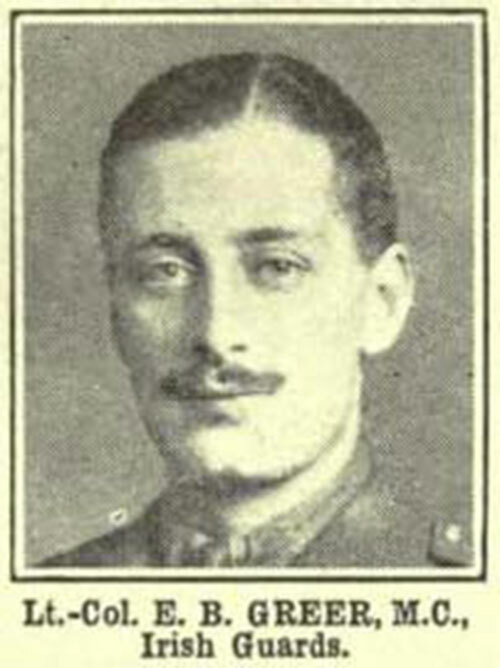 His younger brother, Lieutenant Francis St Leger Greer, M.C., fell in action in February last, having previously been decorated for conspicuous gallant in action. The late Colonel Greer was married a few months ago to the younger daughter of the Honourable Eustace and Mrs Fitzgerald of 2 Manson Place, Queens Gate, London S.W. Lieutenant Colonel Eric Beresford Greer, M.C., Irish Guards, killed in action on 31st July, was a member of a county family settled in Tyrone since the seventeenth century. Of military stock, Lieutenant Colonel Greer was the elder and only surviving son of Captain Joseph H Greer, late Highland Light Infantry, of the Grange, Moy, and Curragh Grange, the Curragh, Kildare, and a grandson of the late General Henry Harper Greer, C.B., D.L. On the maternal side, his grandfather was the late Major General George de la Poer Beresford. Lieutenant Colonel Greer was the youngest officer holding the rank in the Brigade of Guards, and had seen six years service. A fine athlete, he distinguished himself while in the Guards, winning a variety of events at the different sports. Last night’s London Gazette contained a continuation of Sir Douglas Haig’s dispatch submitting names deserving special attention. The following are amongst the officers mentioned in this installment:- Lieutenant Colonel E B Greer, M.C., son of Captain Joseph H Greer, The Grange, Moy, County Tyrone, and Curragh Grange, the Curragh, County Kildare. This gallant officer, a member of an old Ulster family, fell in action in command of a battalion of the Irish Guards on 31st August last. He was a prominent army athlete. His only brother, Lieutenant F St Leger Greer, M.C., Irish Guards, was killed in action in February 1917. 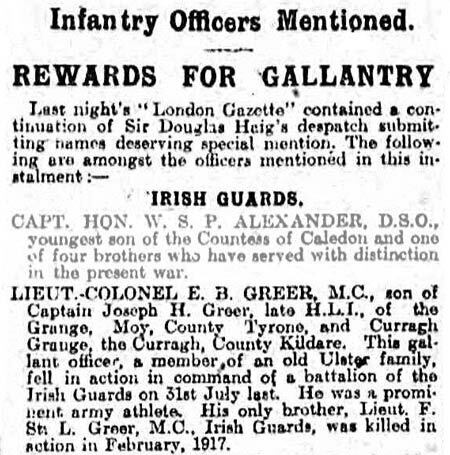 Major Eric Beresford Greer (acting Lieutenant Colonel), M.C., Irish Guards (killed), elder son of Captain Joseph H Greer, The Grange, Moy, County Tyrone, who formerly served in the Highland Light Infantry, has been mentioned in dispatches by Sir Douglas Haig. Eric Greer and Billy Congreve were just two newlywed OEs who died leaving pregnant widows. Both gave birth to baby girls. 1n 1919 Billy's best man, William Fraser, committed himself to help raise his friend's daughter and Married Billy's widow. 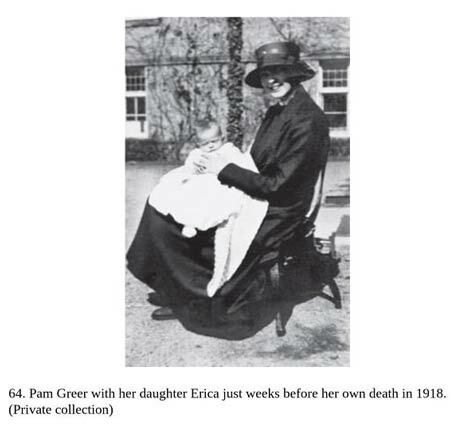 Eric Greer's daughter, Erica, was born at the beginning of 1918. In another tragic twist his young widow, Pam, would not live to see the end of the war. A victim of the influenza epidemic that ravaged Europe in 1918, it fell to Eric's parents to raise their little girl. Their daughter was called Erica. Eric's wife Pamela died in the Spanish flu epidemic at the end of WW1. Erica married John Dottridge (RNVR) in December 1942. 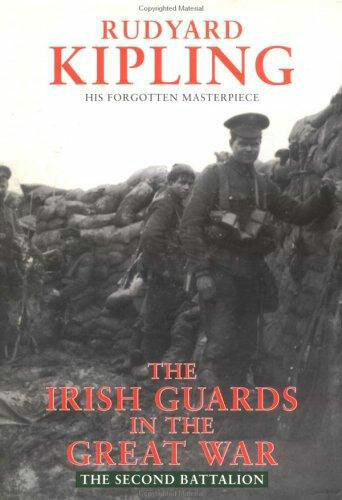 His death near the village of Boezinghe on 31st July 1917 is recorded in Rudyard Kipling's 'The Irish Guards in the Great War'. "July 31st opened, at 3.30 A.M., with a barrage of full diapason along the army front, followed on the Guards sector by three minutes of "a carefully prepared hate," during which two special companies projected oil-drums throwing flame a hundred yards around, with the remit that burned everything it touched. The enemy had first shown us how to employ these scientific aids, and we had bettered the instruction. His barrage in reply fell for nearly an hour on the east bank of the canal. Our creeping barrage was supposed to lift at 4 A.M. and let the two leading battalions (2nd Irish Guards and 1st Scots Guards) get away; but it was not till nearly a quarter of an hour later that the attack moved forward in waves behind it. Twelve minutes later, Nos. 1 and 2 Companies of the Battalion had reached the first objective (Caribou and Cannon trenches) "with only one dead German encountered"; for the enemy's withdrawal to his selected line had been thorough. The remaining companies followed, and behind them came the 1st Coldstream, all according to schedule; till by 5.20 A.M. the whole of the first objective had been taken and was being consolidated, with very small loss. They were pushing on to the second objective, six hundred yards ahead, when some of our own guns put a stationary barrage on the first objective—Caribou trenches and the rest. Mercifully, a good many of the men of the first and second waves had gone on with the later ones, where they were of the greatest possible service in the annoying fights and checks round the concreted machine-gun posts. Moreover, our barrage was mainly shrapnel—morally but not physically effective. No. 2 Company and No. 4 Company, for example, lay out under it for a half and three quarters of an hour respectively without a single casualty. But no troops are really grateful for their own fire on their own tin hats. About half-past five, Colonel Greer, while standing outside advanced Battalion Headquarters dug-out in the first objective line, was killed instantly by shrapnel or bullet. It was his devoted work, his arrangement and foresight that had brought every man to his proper place so far without waste of time or direction. He had literally made the Battalion for this battle as a steeplechaser is made for a given line of country. Men and officers together adored him for his justice, which was exemplary and swift; for the human natural fun of the man; for his knowledge of war and the material under his hand, and for his gift of making hard life a thing delightful. He fell on the threshold of the day ere he could see how amply his work had been rewarded. Captain Gunston took command of the Battalion, for, of the seniors, Captain Alexander was out ahead with No. 4 Company, and Major Ferguson was in Regimental Reserve. Headquarters were moved up into Caribou trench, and by six o'clock the second objective had been reached, in the face of bad machine-gun fire from Hey Wood that had opened on us through a break in our barrage." 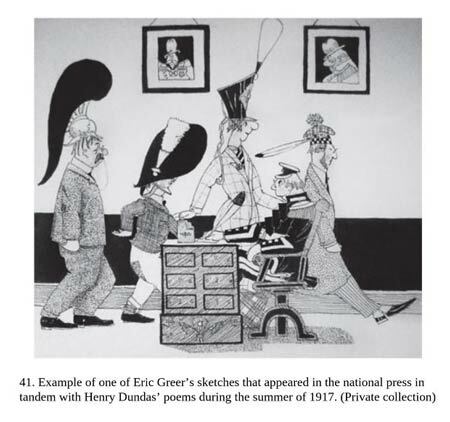 Example of one of Eric Greer's sketches which appeared in the national press in tandem with Henry Dundas' poems during the summer of 1917. 6 The Peerage Includes family history and partial date of birth. 7 War Graves Photographic Project Photo of Eric Beresford Greer's headstone can be purchased here.